For Christmas, I made an apple topiary for our neighbor. 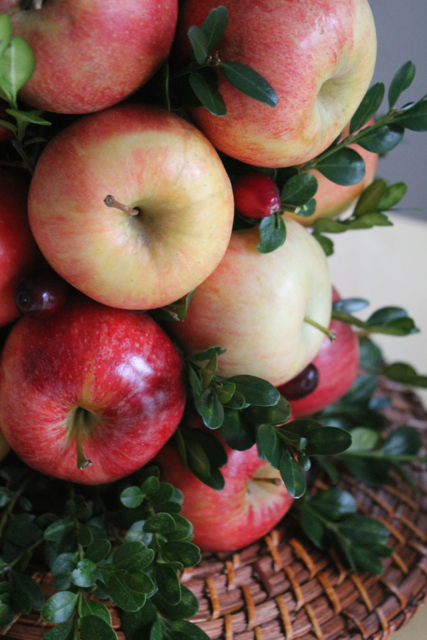 I love making them – they are easy, look great as a centerpiece for a holiday table and make a wonderful gift. 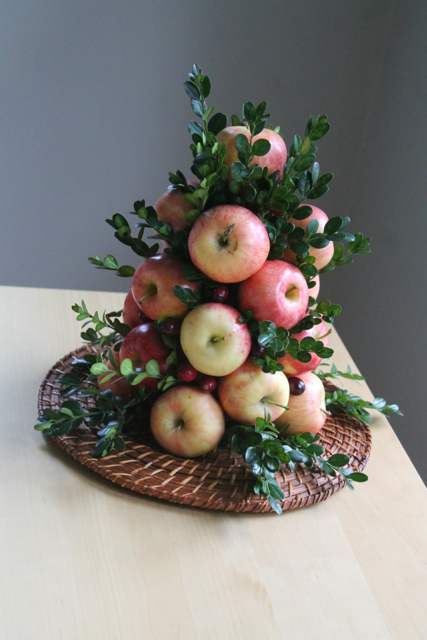 Instead of a hostess gift of flowers, try making an apple topiary inspired by the holiday decor of Colonial Williamsburg. I use a styrofoam cone form for the base and place it on a flat dish or tray. Impale small apples with toothpicks and then stick them into the styrofoam form. To fill in the gaps, I tuck in small clippings of boxwood and stick in fresh cranberries on toothpicks. The fresh cranberries and evergreens give it a lush look.